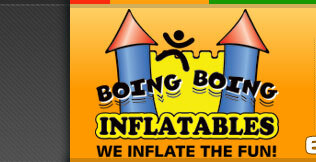 If you are not in the Middle TN area and would like to find an inflatable company for your event maybe one of our friends in the business can help you out. Click here for a list. Wrecking Ball will allow you to demolish the competition! Four players at a time attempt to knock their opponents from their perch. Size is L 25' x W 25' x H 17'. Wipeout Double-Drop Water Slide will make you grab your board shorts and ride the wave. The double-drop makes this slide rad! The top of the slide is completely enclosed for added safety. Size is L 36' x W 14' x H 19'. Octopus Double-Drop Water Slide is so fun you can't wait to get your tentacles on it. 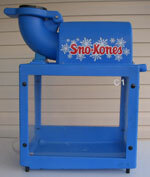 It is perfect for any ocean themed party and can be used wet or dry. The double-drop is sure to keep your little sea horses riding it all day long. The top of the slide is completely enclosed for added safety. Size is L 27' x W 14' x H 18'. 37' Hawaiian Double Lane Slip and Slide is perfect for cooling off on a hot summer day. Run and jump on a cushion of air and slide down the 37 foot long lanes. Overhead soaker hose keeps the mat wet. This will have the teens and adults joining the fun for sure. Size is L 37' x W 10' x H 9'. Justice League 5-in-1 Combo is sure to bring out the super-hero in your child! It is a must-have for any super-hero party! Superman, Batman, Wonder Woman, Flash and Green Lantern are all represented. Size is L 18' x W 19' x H 15'. Dunk Tank is fun for all ages. 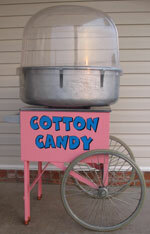 It is great for fund-raising events or just providing a good laugh. Space needed is L 35' x W 12' x H 10'. 20 Foot Double Lane Giant Slide is perfect for high volume events. Definitely a crowd pleaser! The top is completely enclosed with netting for safety. It can accommodate up to 400 riders per hour. Size is L 35' x W 20' x H 20'. Our Obstacle Courses offer 5 challenging configurations from 38', 48', 68' all the way up to the mega long 86'. In all obstacles you can crawl through the tunnel, dive through the bulls-eye, navigate the pop-ups, climb the wall and slide down to victory! Size varies in length W 13' x H 19'. Tiger Belly Bouncer Moonwalk is perfect for your Winnie the Pooh or jungle themed party. He is so cute you can't settle for a plain moonwalk. Stand in front of his face for great photos. Size is L 25' x W 15' x H 15'. 18 Foot Giant Slide features a radical sliding angle that is sure to please young and old alike. The top of the slide is completely enclosed for added safety. The small footprint makes it perfect for backyard birthday parties. This is a dry slide only. Size is L 18' x W 11' x H 18'. 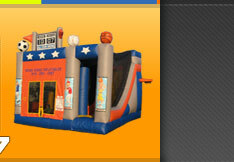 4-in-1 Castle Combo is a regular size bounce house, but it adds a wall climb, 13 foot slide and basketball hoop inside. You won't rent this unit and have the children get board with it like they do an ordinary bounce house. The slide is completely enclosed for added safety. Size is L 27' x W 13' x H 15'. Sumo Wrestling always draws a crowd at your event. The blubber bellies bouncing together will keep you laughing and wanting more. Size is L 15' x W 15' x H 7'. Bouncy Boxing will bring out the prize fighter in you. With the inflatable ring and oversized gloves it's sure to be a big "hit"! Size is L 33' x W 11' x H 9'. Bungee Run is a staple for school and church carnivals. Two competitors race down the lane and attach their bean-bags before being pulled back by the bungee cord. Gladiator Arena builds agility and self-confidence through healthy competition and sportsmanship. The raised pedestal offers just enough movement to keep the competitors on their toes while jousting their adversary. It can also be used for king-of-the-hill or as a dance floor. Size is L 25' x W 25' x H 8'. Air Baseball Game inflates the fun of America's past-time. Pair up with our 5-in-1 All Star Combo for an awesome sports themed party! Size is L 18' x W 11' x H 9'. Mini All Stars Basketball Shoot adds to the fun at any inflatable party. Pair up with our 5-in-1 All Star Arena Combo for an awesome sports themed party! Size is L 10' x W 10' x H 8'. 5-in-1 All-Star Combo with its 170 square foot bounce area it is the largest bouncer you're going to find in any 5-in-1 combo. Add to it a 14 foot slide with a 50-degree sliding angle and it puts the competition to shame. A completely enclosed slide with no jump safety screen makes our 5-in-1 Combo the safest in the industry! The popups in the bouncing area add a new dimension of fun, and they can also be used for a jump shot scoring game. With dual basketball hoops as a standard feature, you can shoot hoops inside or outside the unit. Size is L 18' x W 15'x H 17'. The Transforming Robot Cars is perfect for the little boy that loves robots, cars or the Transformer cartoons and movies. Your little guy will love to have the Transforming Robot Cars Moonwalk at his party. Size is L 15' x W 15' x H 13'. The Princess Moonwalk is perfect for the little girl that loves playing dress-up, or watching the Princess movies. Your little Princess deserves to have the Princess Moonwalk at her party. The Sponge Bob Moonwalk is perfect for the little boy or girl that loves Sponge Bob Squarepants. Invite Sponge Bob to your next party and watch your child's eyes light up! The Dora the Explorer Moonwalk adds life to your Dora themed party. Why settle for a plain bounce when you can have one to match your theme? The Happy Birthday Moonwalk is perfect for any birthday party. The cute animals are appropriate for girls or boys. 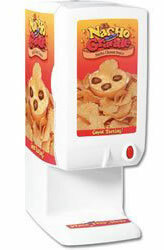 It's a great way to add the extra touch your little one deserves. 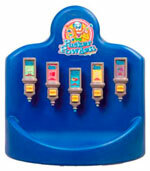 The Fun House Moonwalk goes great with any backyard birthday party or in addition to one of our other inflatables. It's a classic unit that is a great value. 6500 Watt Generator is available for rent if you need to setup where there is limited or no electricity. Daily rental rate - $50. A $4 per hour refill charge will also be assessed, or Customer may refuel.